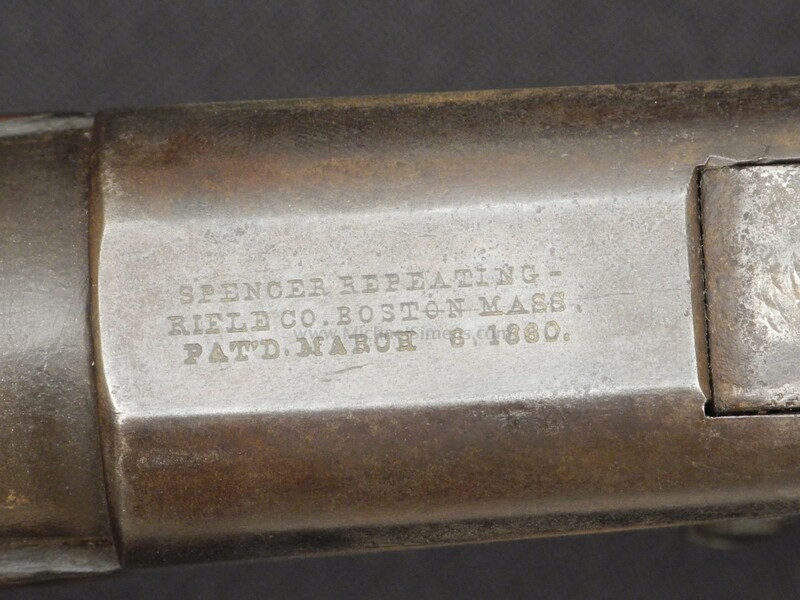 This is a great, historical Spencer Rifle. 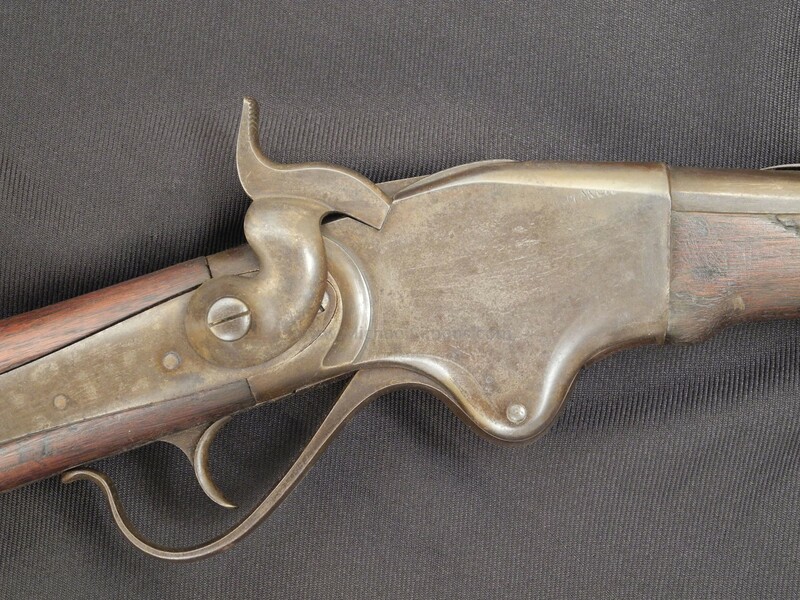 As issued to Michigan Cavalry and in the 15XX serial range, it is one of but a handful to have survived the war. Only two units of the Army of the Potomac were armed with Spencer Repeating Rifles at Gettysburg, the 5th and 6th Michigan under George Armstrong Custer who fought off Jeb Stuarts Cavalry led by the famous Wade Hampton and the beloved Colonel William G. Conner who was commanding the heroic Jeff Davis Legion. It is thought by many historians that Conner was the trooper that Hampton tried to rescue during a grand counter-attack on the fateful day. During the height of the battle, Conner had captured a Yankee Color and was surrounded by troopers who ordered his surrender. He killed two of them with his Colt Revolver before being brought down in a blaze of gunfire with Hampton receiving 3 wounds and barely escaping death. 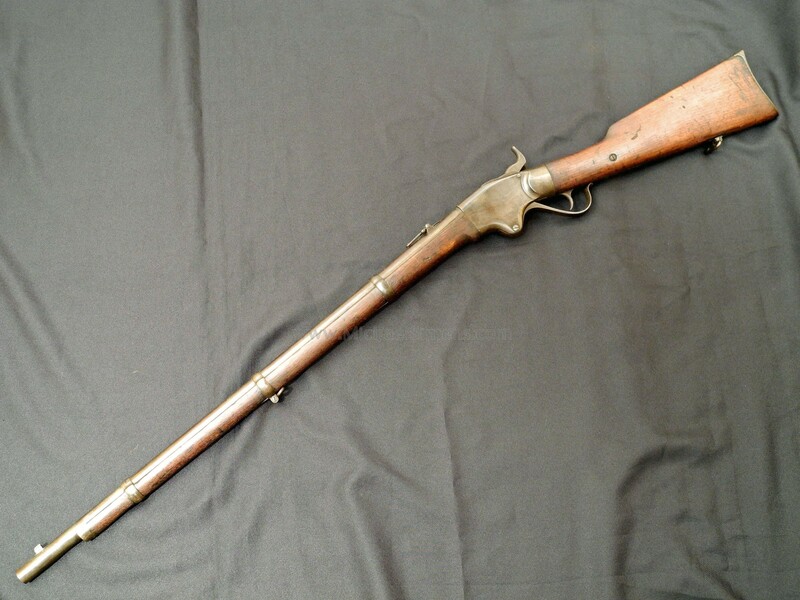 This wonderfully conditioned Spencer Rifle was undoubtedly in the East Field at Gettysburg during the epic Cavalry struggle that many feel saved the day for the Union Army, probably the most important event after the magnificent efforts of the 1st Minnesota, Michigan Iron Brigade and the 20th Maine's action on Little Round Top. 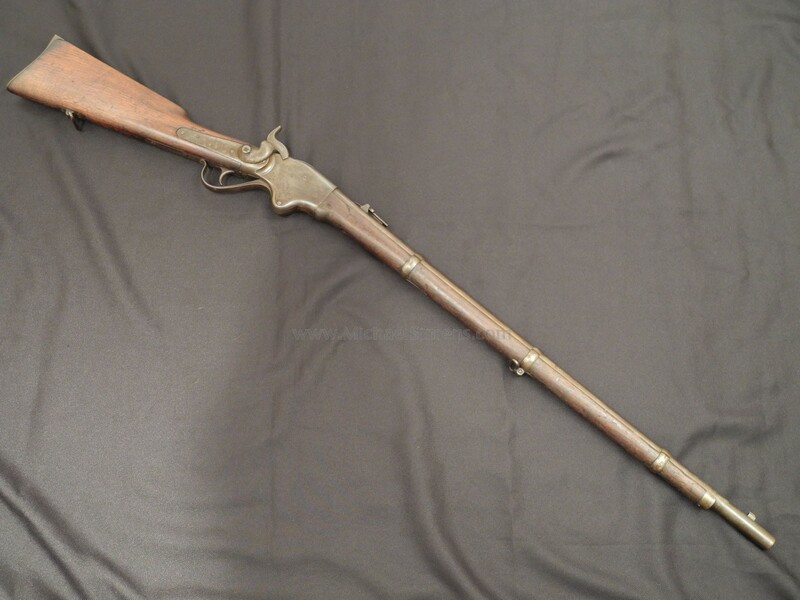 This Spencer Rifle is the 3rd we have handled in the past 5 years and is without question, the best condition example we have ever encountered. The markings are extremely crisp as shown in the photos and the edges and action are also sharp. The wood is fine and full with remnants of a cartouche. 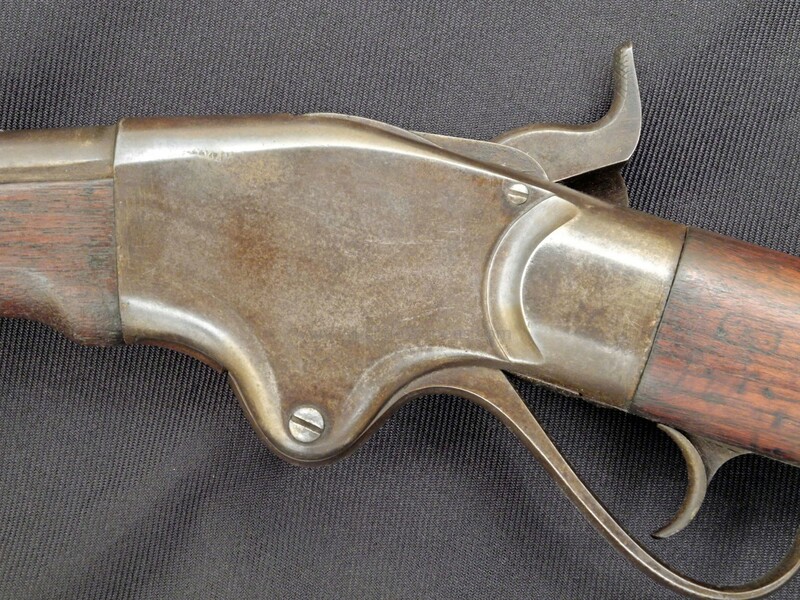 Best of all, the gun is in an overall medium brown patina that has never been touched. It is beautiful. 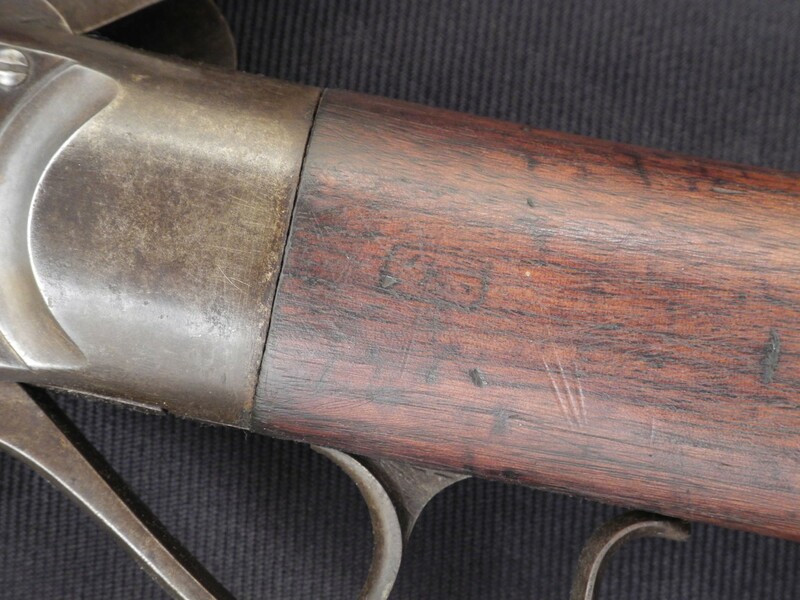 A great Gettysburg Artifact that is worthy of the finest Gettysburg or Civil War Collection.